We will be crafting a pair of hand-sewn ruby slippers in Judy Garland's size for our new project in April, 2018. 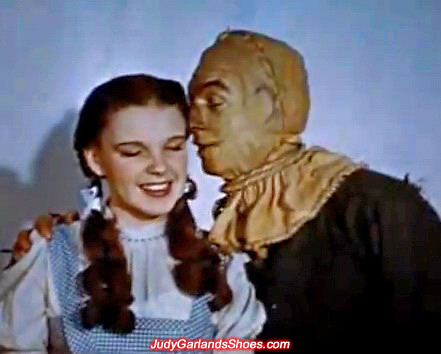 The most beautiful actress in movie history wore the most famous pair of shoes in movie history. Photos of a pair of hand-sewn bows and brand new pair of shoes handmade from scratch will be coming soon to this thread. 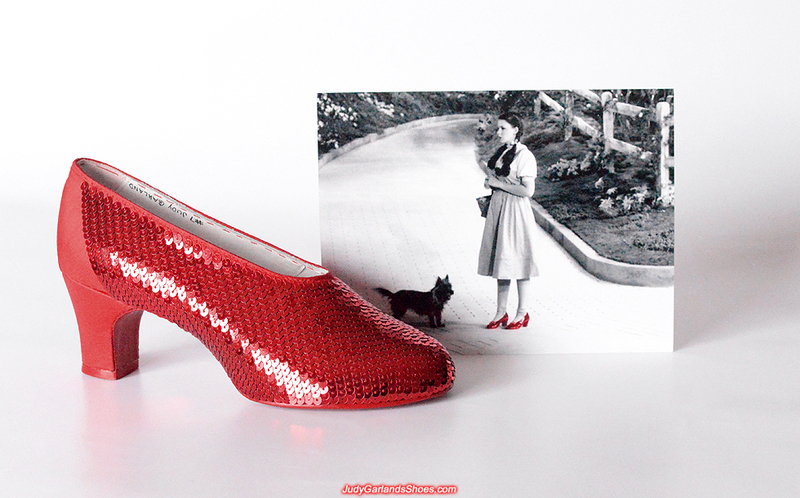 The hard work begins now before sequining the shoes into a sparkling pair of ruby slippers. 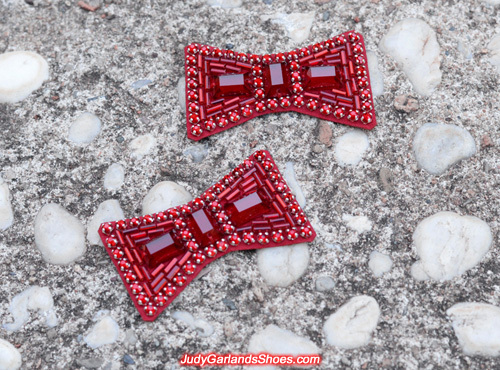 The bows are the key to making a great first impression for a pair of ruby slippers, therefore we always make sure they meet our expectations. All stones (rectangular stones, rhinestones and bugle beads) on the bows are custom made to match the stones on the original ruby slippers. The bows are made from silk fabric and thin leather for the overlays, and everything is hand-sewn with a thin needle and thread like the bows on the original ruby slippers. 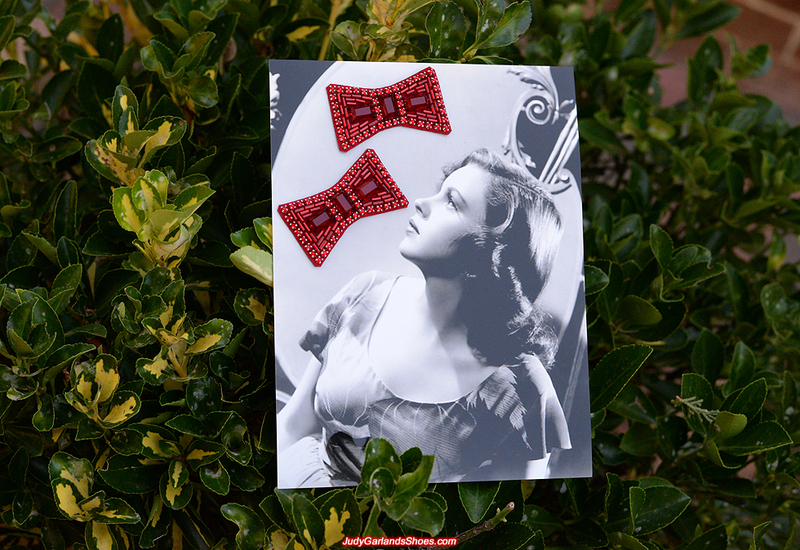 Not only does the sewing method make the bows look high quality, but it also prevents the stones from falling off the ruby slippers when the young actress moved around on the set. 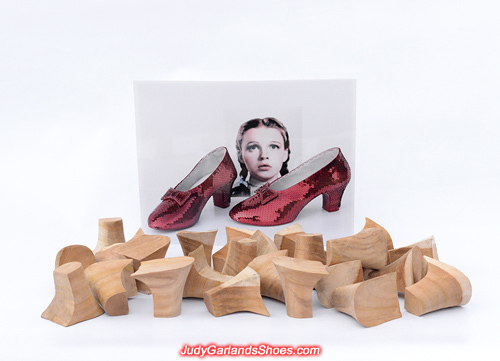 Our solid wooden shoe heels that matches the exact shape of the wooden heels used on the "Witch's Shoes" ruby slippers worn by Judy Garland as Dorothy in Munchkinland. These heels were crafted from quality wood this month and they will last for one thousand years, if not longer. 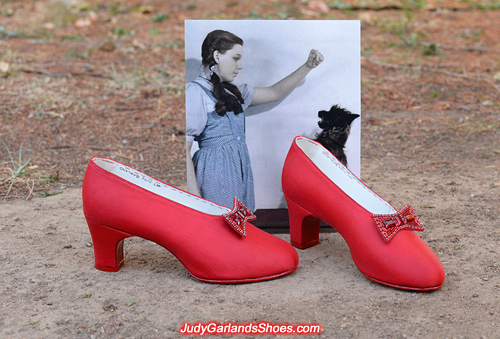 They are very authentic because they are exactly the same kind of heels crafted on the shoes in 1938 for the teenage superstar. 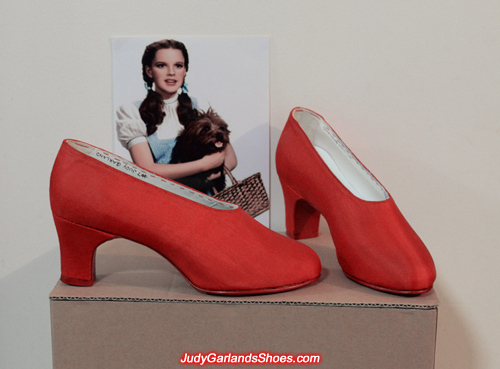 If we take the heels apart from the original ruby slippers and remove the covering of sequins, fabric and leather from the heels, we would see the same wooden heels identical to our wooden heels. Shoes containing these wooden heels are wearable, as is the case with the original ruby slippers, because wooden heels are very strong to support a person's weight. What kind of wood is used? 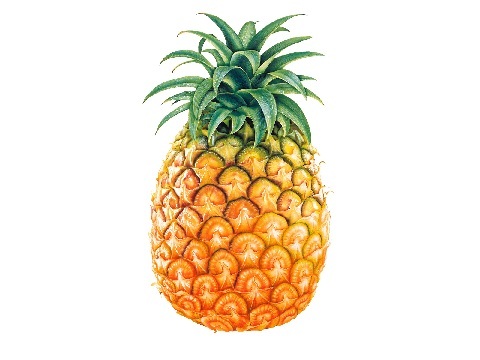 Has it been treated or dried in a special manner? I don't know what it is called sorry, but it's very strong and the type of wood used to make furniture in Laos. Wood in Laos are generally very good quality. It has been treated and the shape of the heels won't change. 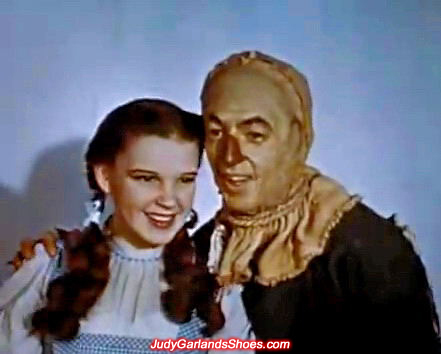 The base of the heel seems wide, was this to provide better balance for Miss Judy when she was dancing down the Yellow brick road? They made around 10 pairs of screen used ruby slippers, and the heels on the size 5B pair for Judy Garland as Dorothy had slightly thinner and longer heels which is the same heels we use on our ruby slippers. 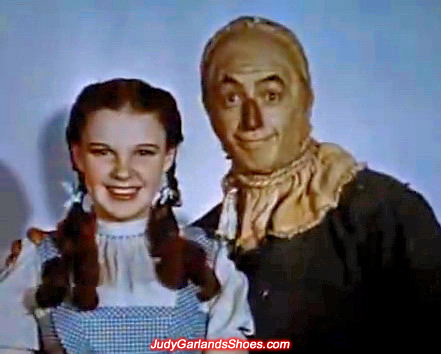 She was a child so they were careful not to make the heels too thin. A quick photo of our shoes. More photos will be posted tomorrow before we start to sequin them. Yes the wood in Laos is very good, they're mostly chopping down the national parks illegally and selling to Vietnamese and Thai buyers, sadly. Well, yes, you're right, that may be true but at the end of the day, as a buyer we can only purchase wood that is available for sale and we have no control in what people are doing out there in the Lao forest. High quality, handmade 1930's style dance shoes with perfect wooden heels in Judy Garland's size 5B. The interior and exterior of the shoes is crafted to look brand new. 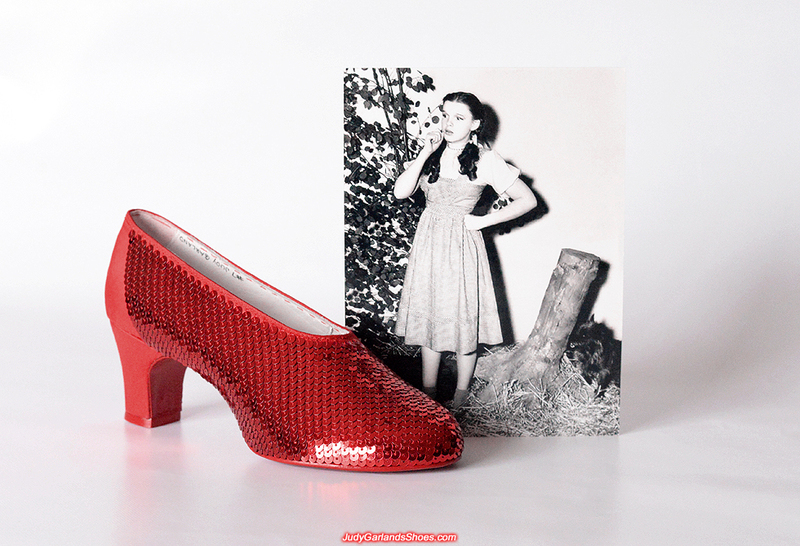 Everything on our red silk fabric and Italian leather shoes is made from scratch with strong attention to detail to match the exact size and shape of the original ruby slippers worn by miss Judy Garland as Dorothy in the 1939 MGM film "The Wizard of Oz." 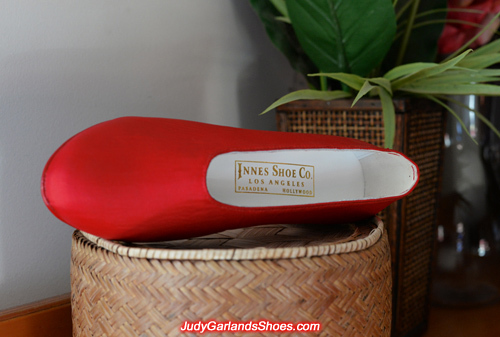 The right insole contains a heat stamped golden embossed label that reads "Innes Shoe Co., Los Angeles, Pasadena, Hollywood" and "#7 Judy Garland" is written along the lining of the shoes to give the ruby slippers a touch of authenticity. 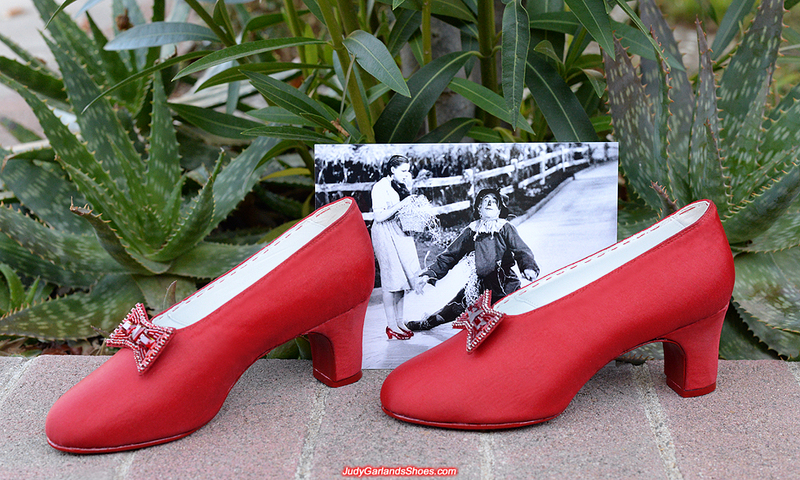 These are a genuine wearable pair of shoes that match the shoes Metro-Goldwyn-Mayer Studios used to create the original ruby slippers, so they can be worn or displayed. 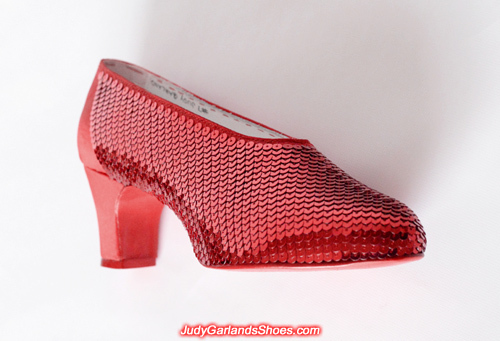 Our April project continues into May and we are now ready to sequin the shoes. 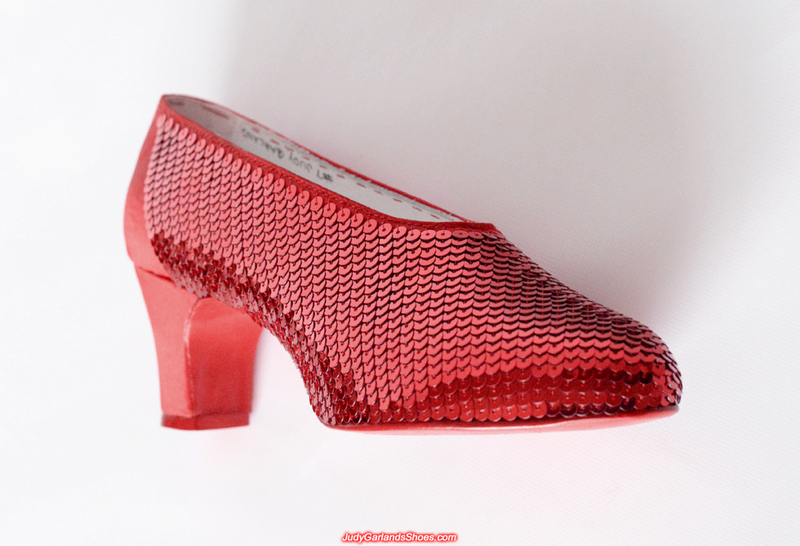 The amount of wood used must be miniscule, the Chinese have more culpability for deforestation of Laos than these gorgeous Ruby Red Slippers. How is the fabric streched to fit so snugly? Everything is crafted to the highest quality.